Villa del Palmar Beach Resort & Spa, Cabo San Lucas is part of The Villa Group family of condominium resorts in Mexico. The Villa Group is renowned for delivering excellence, quality and large accommodations, and Villa del Palmar in Cabo San Lucas is no exception. 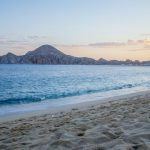 This popular beach resort at the tip of the Baja California Peninsula is lined with stunning sandy beaches and attracts many of the Hollywood stars and celebrities looking for an idyllic escape. With mountains, desert and ocean, it makes for a unique location for a sunny getaway. 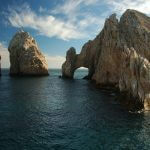 Cabo is also famed as a town that has something for everyone from dawn till dawn. There are adventure tours, zip lining, horseback riding, mountain biking and even camel rides into the desert. At night the town comes alive with bars and nightclubs to create a party atmosphere. For those looking for something a little more sophisticated, the destination is also packed with great restaurants serving international menus as well as typical Mexican eateries. 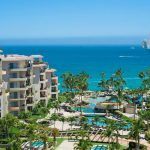 Just five minutes from downtown, Villa del Palmar Cabo is perfectly situated and ideal for timeshare owners who wish to walk to the action or get a taxi for supplies. It is a five star resort with huge swimming pools and a waterfall that crafts the landscape of the complex. There is also a saltwater aquarium. Offering All Inclusive and Room Only plans, this Villa Group resort is versatile and accommodating for all kinds of guests providing a range of great restaurants on site and even a market with a deli for those who wish to cook in their suites. 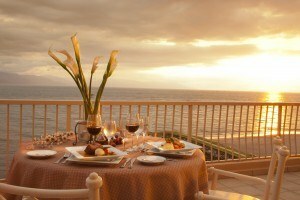 The food plans are also flexible to allow for greater inclusion of timeshare owners. Villa del Palmar Cabo San Lucas also has one of the best spas in Cabo. A 10,000 sq ft facility, it offers a whole range of relaxing massages and healing treatments that leave guests totally pampered. There is also a state-of-the-art fitness center that is fully equipped with weights, running machines and other cardiovascular exercise equipment. As for the suites, they are as beautiful as the resort and spacious to boot. From Junior Suites that sleep two adults and two children to Three Bedroom Suites that have space for a maximum of 8 adults, you could invite the whole family. Timeshare owners might want to check out ways of upgrading.